Pores don’t open and close like doors. Chocolate won’t make you break out. Sunscreen isn’t optional on cloudy days. These are all widely known to be myths. But is it normal to break out after a facial? Does your sleep position cause wrinkles? Is it really necessary to wash your face in the morning? These all fall into a gray area in the world of skincare advice. Since we’re always up for a little investigation (especially when it come to our skin), we went straight to the source(s) for answers. Ahead, we chatted with a specialist responsible for creating effective products and an expert responsible for prescribing them. Feeling curious? See which skincare tips are simply not to be followed. If you listen to every glowy-skinned celebrity under the sun, you’ve been conditioned to believe this is true. And yes, drinking plenty of water is important to overall health (including skin health). Which is why Linda Miles, co-founder and chief formulator of DERMA E, recommends drinking a full eight to 10 glasses of pure water every day to help promote good digestion, healthy circulation, and the removal of toxins. “But if one has good nutrition and drinks the recommended amount of water but still has dry skin, drinking more water isn’t going to help,” dermatologist Gary Goldenberg, MD, says. Our experts agree: Vitamin C is a potent antioxidant we should all be using. The issue, as Dr. Goldenberg points out, is that it’s very difficult to get vitamin C into the skin where the real change happens. That DIY lemon juice spot treatment is only going to sit on the skin. Instead, look for products that contain a 100% stable, non-oxidizing form. “This form of vitamin C will not evaporate or degrade before absorbing, providing your skin with its remarkable antioxidant, skin-brightening, and anti-aging properties,” Miles says. 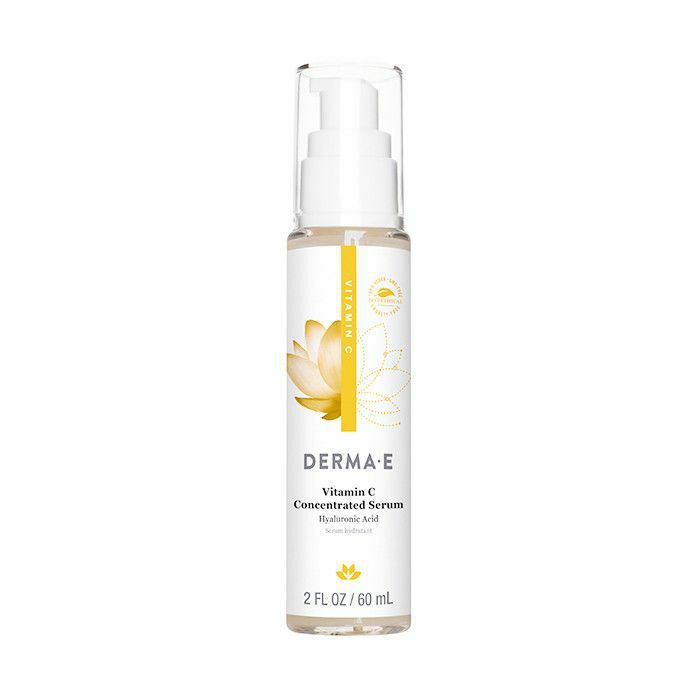 We love DERMA E’s Vitamin C Concentrated Serum ($25) because it not only fits the vitamin C description, it’s also packed with hyaluronic acid, probiotics, and more antioxidants for maximum skin-aging prevention. Anyone who’s gone through puberty knows this isn’t true. 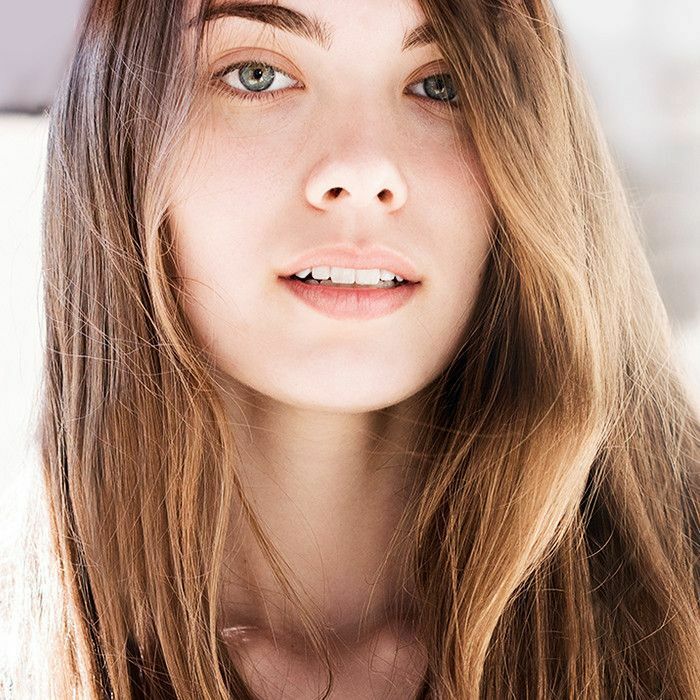 But there’s still a common misconception that after your teenage years, your skin type is set. In reality, skin tends to get drier as you get older, but as Miles notes, your skin type changes as you age. “In the past decade, I’ve seen more and more patients who had normal skin as teenagers and developed oily skin and acne as adults,” Dr. Goldenberg says. “This appears to be especially prevalent in women.” Blame stress, hormones, diet, environment, or any combination of for the changes, and then readjust your regimen as needed. While makeup can clog pores which can lead to breakouts, it’s not the primary cause of acne. There are a number of lifestyle factors at play. At its core, acneic skin is imbalanced skin. But stripping the skin of oil is not the answer. “To get skin back into balance, I always recommend a skin-clearing regimen rich in natural ingredients, as well as making healthier lifestyle choices,” Miles says. She suggests looking for products with antibacterial, antiseptic, and astringent ingredients like tea tree, lavender, and rosewood. “Willow bark and salicylic acid are two naturally keratotic ingredients that help shed away dead surface cells, ridding skin of dirt, oil, and toxins trapped inside clogged pores,” she says. 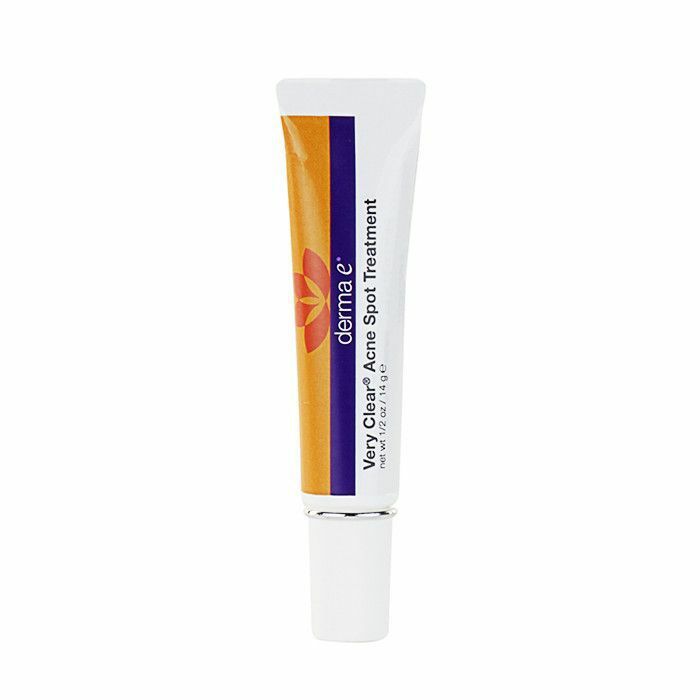 Add a skin-calming, anti-inflammatory like the chamomile found in DERMA E’s Very Clear Acne Cleanser ($20) and you’re on the path to a balanced complexion. Blackheads are not dirt; they’re clogged pores caused by any number of the factors that affect acne. More specifically, Dr. Goldenberg says they’re clogged with keratin, a material that makes up our skin. And while skimping on cleanser can lead to clogged pores, you can’t wash or scrub away blackheads. In fact, you may do more harm than good by inflaming the skin. Instead, Miles looks to activated charcoal. “This powerful ingredient has the amazing ability to pull out the bad bacteria while leaving the good bacteria so your skin stays healthy,” she says. 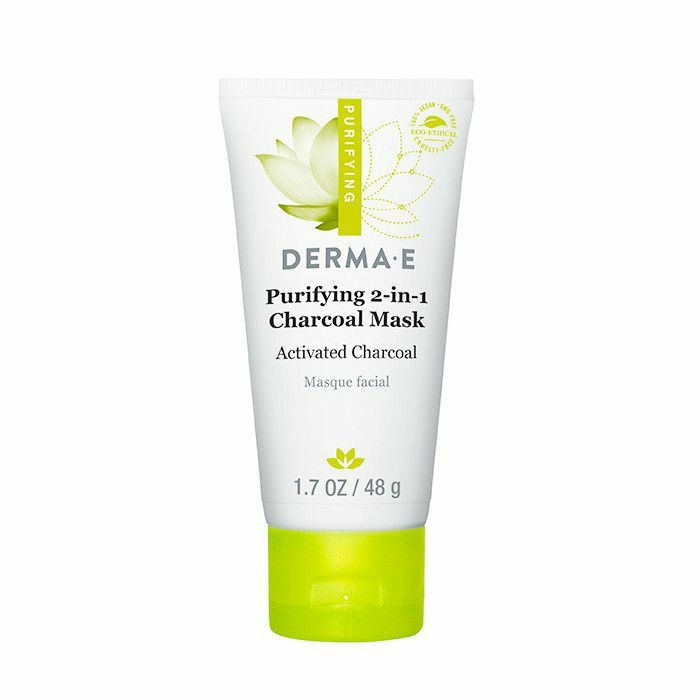 DERMA E uses activated charcoal in its Purifying 2-in-1 Charcoal Mask ($20), perfect for oily, blemish-prone skin types in need of a healthy skin detox. If it hurts, it works, right? Thankfully no. “In fact, research shows that applying antioxidants topically counteracts skin’s age damage caused by free radicals, which you encounter every day,” Miles says. And it’s not just the sun: Miles points to stress as well as toxins in food, water, air, secondhand smoke, car fumes, and microwaves as culprits. “Free-radical damage to skin causes the visible signs of aging such as fine lines, wrinkles, loss of tone, and hyperpigmentation, as well as the decline in your overall skin health,” she says. “Antioxidants are naturally powerful agents that help keep skin healthy—they quench free-radical damage and fortify skin’s natural resistance to stress, environment, and age factors.” Consider them as integral to your routine as cleansing and exfoliating. Facials should improve your complexion. “A facial should clear the skin of dead skin cells and therefore unclog pores,” Dr. Goldenberg says. “Breakouts should decrease if this is done correctly.” However, everyone’s skin reacts differently. Post-treatment inflammation could be a reaction to the pressure or products used during the facial. Miles suggests vitamin E and tea tree oil for post-facial blemishes. “Tea tree is a natural antibacterial, antifungal, and antiseptic, while vitamin E provides natural moisturizing and antioxidant properties,” she says. Together, they help clear skin while reducing redness and scarring. 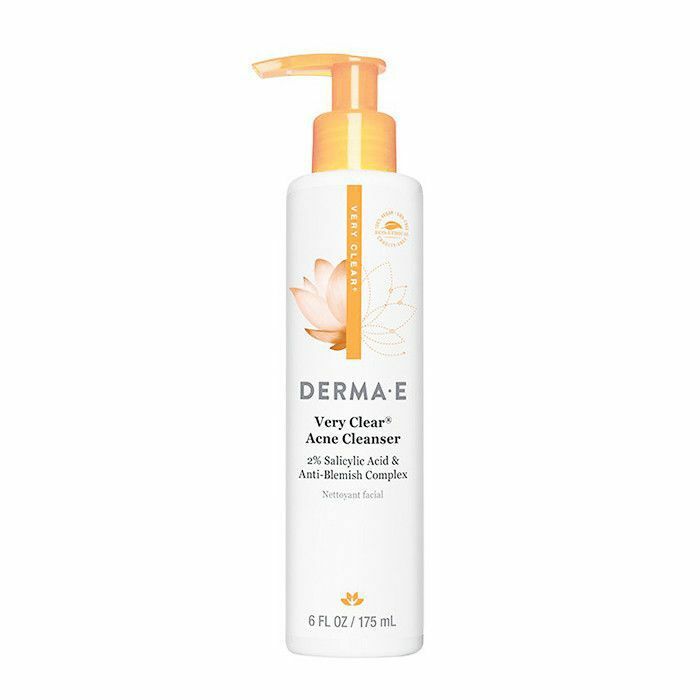 Find it all in DERMA E’s Very Clear Acne Spot Treatment ($12). Dry, oily, sensitive—whatever your skin type, hit the sink twice daily. “You may not realize it, but when you sleep, your skin collects oil, dust, debris, and other environmental contaminants that you should wash off in the morning,” Miles says. Just look for alcohol-free, pH-balanced products, and your skin will thank you. 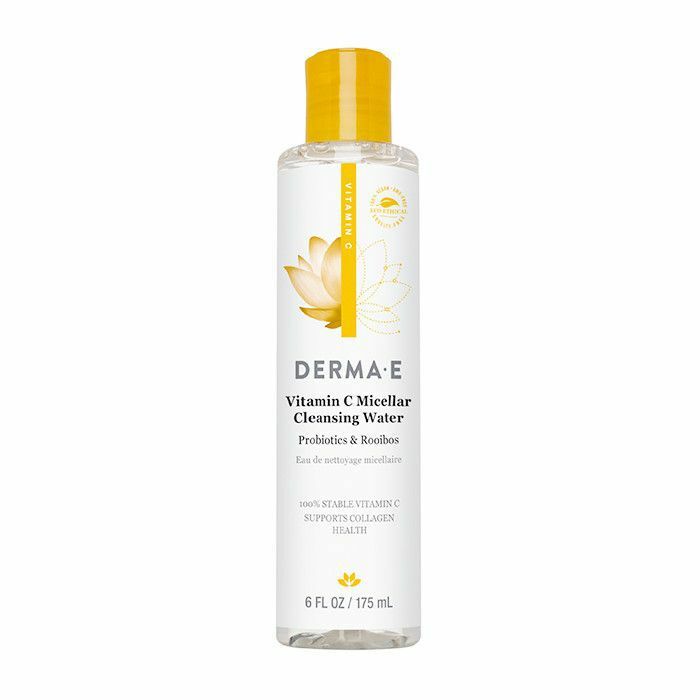 Or if you need a sink-free option for busy mornings, try a no-rinse-necessary micellar water like DERMA E’s Vitamin C Micellar Cleansing Water ($13). “Additionally, the gentle, mechanical motion of cleansing stimulates blood flow, bringing nutrients and oxygen to the skin, and encouraging the lymphatic flow,” she notes. Bonus myth: Hot water won’t open your pores, but it might strip your skin of its natural protective oils. Opt for warm water instead, and finish with a splash of Dr. Goldenberg–recommend cold water. This one is partially true because wrinkles are caused by multiple mechanisms. “Dynamic wrinkles, such as crow’s feet or ‘11’ lines on the forehead, are those that are produced by muscle movements,” Miles says (in other words, your pillow is not involved). Plus, genetics and the normal atrophy of facial fatty tissue play a role in skin aging. Sleeping on your side can lead to vertical lines, but overall, both Miles and Dr. Goldenberg are most concerned with your sun exposure. “Sun damage causes skin to become more thin and causes collagen in the dermis to degenerate,” notes Miles. So wear your sunscreen, and sleep on silk for good measure. While a quality cleanser doesn’t have to cost a fortune, every good skincare routine does start with cleansing. A gentle product that’s right for your skin type can make all the difference. Look for a soap-free face wash that won’t strip your skin of its natural, protective oils. “After cleansing, your face should feel clean and fresh, not tight, dry, or pulled,” Miles says. If you’re getting that squeaky-clean feeling, it’s time to make a change. 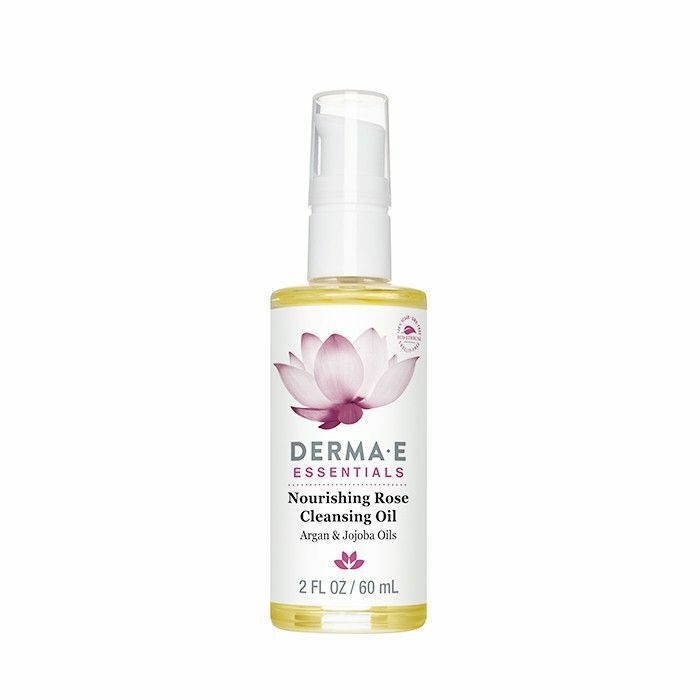 Try a cleansing oil like DERMA E’s Nourishing Rose Cleansing Oil ($18) to dissolve impurities while delivering moisture to your skin. Contrary to what you might think, oil cleansers balance all skin types. Do you have any other skincare myths we didn’t cover here? And if your regimen needs some upgrading, shop our product picks below!